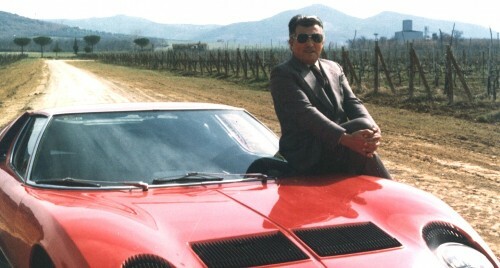 Tractor manufacturer and supercar maker Ferruccio Lamborghini is less well known for another passion, his enthusiasm for agriculture – in particular, viniculture and the production of wine. 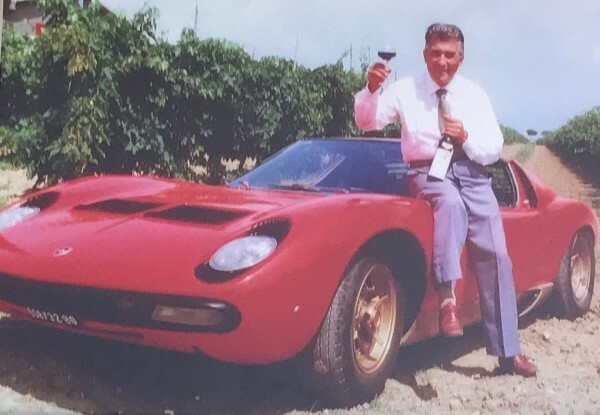 He was born into a wine-making family and, in 1993, having sold his beloved car company some decades earlier, returned to his roots spending his final years supervising the ‘La Fiorita’ estate, by Lake Trasimeno in Umbria. 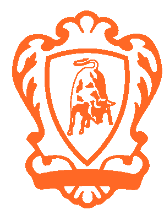 Its most famous label is ‘Sangue di Miura’ – ‘Blood of the Bull’, a classic reference to Automobili Lamborghini’s most famous supercar. Bad Moms Actress, our celebrity model Eugenia Kuzmina for Lamborghini. Lamborghini is proud to be a titled sponsor of www.thesuperbash.com which is the largest music and entertainment event in the history of the Superbowl. SUPER BASH from The Super Bash on Vimeo. Our winemaker is "one of the most acclaimed winemakers in Italy"!!! His name is Riccardo Cotarella and he is listed on the back of our bottles. We fell in love with Lamborghini Campoleone with the 1999 vintage and it is now one of our favorite Italian wines to throw into Bordeaux tastings. 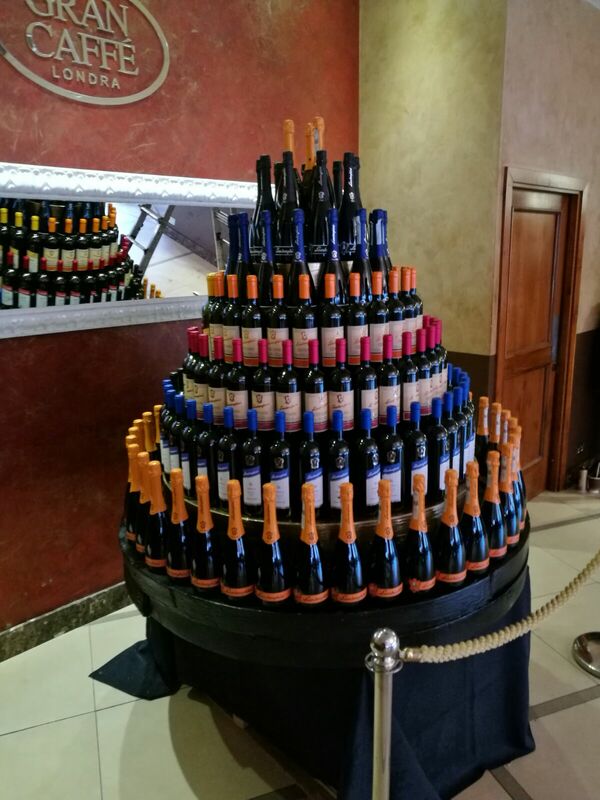 It never fails to impress and it is no surprise that the man behind the winemaking is Riccardo Cotarella, one of the most acclaimed winemakers in Italy. The Lamborghini estate lies between the south side of the Trasimeno lake and the beautiful medieval village of Panicale. 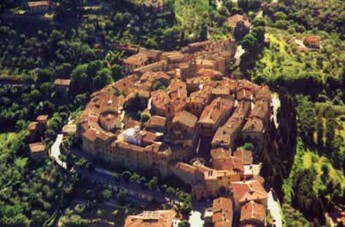 Situated on the border between Umbria and Tuscany, Cortona is only a few kilometers away. The property was purchased in the 1970s by Ferruccio Lamborghini who fell in love with the area. After his retirement from the famous Lamborghini automobile company, he decided to go back to his roots: being a farmer. 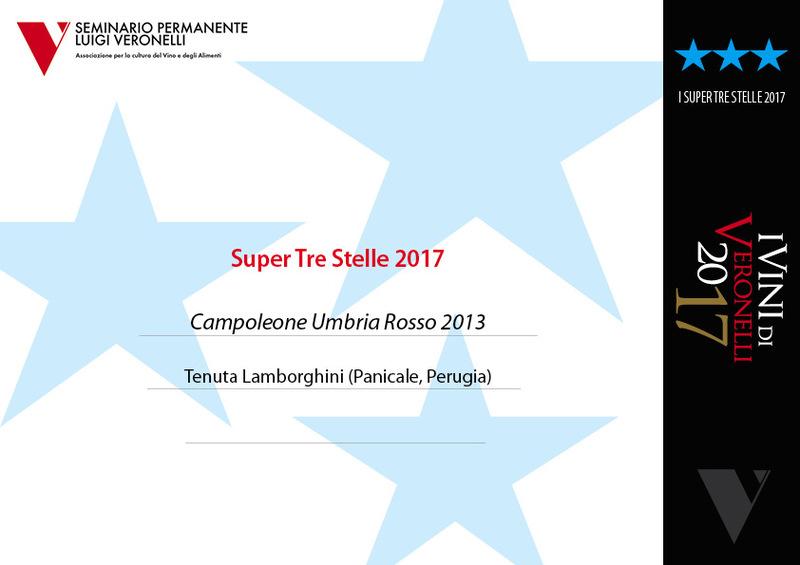 "One of the most spectacular wines made in Italy..."
Lamborghini Campoleone is a red IGT from Umbria and is the primary wine of the estate. It is a blend of 50% Sangiovese and 50% Merlot. After harvest, extended maceration on the skins lasts for 22 days. Malolactic fermentation follows in new French barriques, where the wine is allowed to rest 12 months in the same barriques. The two varietals are kept completely separate until the cuvée is assembled. The wine is then bottled and allowed to rest 6 months. The result is a Merlot/Sangiovese blend that has an extraordinary perfume of saddle leather, smoke, cassis, prunes, and plums.Lamborghini Campoleone is a rich full-bodied, voluptuously-textured wine, with layers of concentrated fruit and sweet tannins. As the editors of Gambero Rosso have written "It has the clear stamp of Bordeaux about it." No wonder Robert Parker called it "One of the most spectacular wines made in Italy..." We couldn't agree more. Food & Wine - "The Wine Wizard"
Riccardo Cotarella, nicknamed "the Wizard," is the winemaker of the moment both at home in Italy and, believe it or not, in France. French enologists have been traveling to Italy for decades in an effort to refine the winemaking manners of their neighbors to the south. But an Italian enologist in Bordeaux? Isn't this teaching the fish how to swim? Certainly, Riccardo Cotarella knows what he's up against. As I was soon to learn, he has served as enologist for wineries all over Italy, and his own winery in Umbria is the talk of international circles. If the French, like the rest of the world, are falling in love with Italy, then the daring and zealous Cotarella--Il Mago (the Wizard), as he's called--might be just what they need to cast a rescuing Italian light upon certain faded, forgotten châteaus. The proprietor of Château Tourans in Saint-Emilion and Château Cap de Rive in Côtes de Castillon suffers from such an acute case of Italian fever that he's bypassed the obvious French consultant choices (Michel Rolland would probably head the list) in favor of Riccardo Cotarella. "The whole idea [of consulting in France] makes me a bit nervous," Cotarella told me. With his outsize glasses and the graying hair he wears long over the ears, he could be a poet-professor or a country doctor--a G.P. who would quickly gain your confidence. "Not that I don't feel up to the job," he quickly adds. "It's a question of how to manage my life. I'm a family man, after all." After tasting a barrel sample of Cotarella's first promising effort, the dark, full-bodied 1999 Caprice d'Angélique from Château Cap de Rive, I can confidently say that his efforts are paying off. But the bulk of Il Mago's business is still in his native Italy. Generous and cordial, he found time to show me around his young Umbrian estate, Falesco, even though later that same day he would be presenting his wines to the keeper of the Vatican cellars--not surprising, as the Popes have been drinking Umbrian wines since Saint Peter's was an unimproved rock. Cotarella's portfolio as an enologist includes some of the hottest new Italian stars: Campoleone, from Lamborghini in Umbria; Terra di Lavoro, from Galardi in Campania; and Don Antonio, from Morgante in Sicily. But the wines of Falesco, the business he co-owns with his brother, Renzo, are born of a brighter gleam in his eyes. Cotarella is famous for powerful red wines, but his early notoriety came from whites. "White wine is about to stage a comeback," he told me. "Sure, reds are the fashion now, but fashions change." His whites are the result of long years of trial and error, driven by his interest in reviving, before it's too late, the ancient grapes that have been grown in Umbria since Roman times. "The whole world has Chardonnay and Sauvignon," he said, "but we have Roscetto." There was a touch of irony in his tone as he pronounced, emphatically, the word Roscetto, as if to say, "I know you think I'm crazy!" A thick-skinned grape that forms compact bunches, Roscetto turns vaguely red as it ripens (but the wine is white). Cotarella worked for several years developing the desired clones, and the world's first serious 100 percent Roscetto will soon be making its debut from Falesco under the name Ferentano. Full-bodied and ambitious, the 1998 Ferentano offers unique aromas: scented geranium, wild fennel seed, ripe loquat and buttered toast. Driving across the highlands to the east of Orvieto, Cotarella suddenly pulled over to the side of the road to show me a newly posted and cordoned vineyard. "This is my research project," he explained, "four acres of red grapes, just about every variety known." This extraordinary little vineyard encapsulates his winemaking philosophy. "We have to search," he said. "If I weren't someone who looked far and wide, I'd still be making the boring little wines my ancestors made. Now I'm making first-class wines and doing it in the most unlikely places imaginable, in Campania and in Sicily. I'm working with Italy the way the Americans once did with their own unexplored ground." Cotarella took me to the Falesco aging cellars. No buses full of rubbernecking eno-tourists will ever make their way to this industrial enclave near Montefiascone; one of the winery's neighbors is a car crusher. The trappings of glamour play no part in the sales effort. The wines say it all. "When a wine has character," Cotarella said as he poured us both a generous taste of Falesco's Vitiano, "it's an open book. An experienced taster should easily identify its grape content, its region of production, even its producer." And this Umbrian wine offers a set of flavors very different from those of a Tuscan wine of the same blend. Vitiano, a mix of Cabernet Sauvignon, Merlot and Sangiovese, is made to be drunk young. The 1999 is stunning, dark and multilayered--and it sells for under $10. But the champion of Falesco's stable of reds is Montiano. I tasted the 1998. Unrefined, unfiltered and 100 percent Merlot, this is a wine that expresses its origins to the maximum. At once Italian and international in style, it's in a league with the best Merlots made anywhere. With my nose in a grand cru glass of Montiano, I thought about the roadside wildflowers I'd just admired as Cotarella and I toured one of his vineyards near Castiglione in Teverina. The blooming thistles and malva, the poppies and wild marjoram--they were all part of Montiano's big, distinctive bouquet. "How do you think the Pope will take to this?" I asked. "I think he'll prefer my Poggio dei Gelsi Vendemmia Tardiva," Cotarella said, referring to his honey-rich dessert wine. I tasted its sweet godliness and understood. What could be better suited for a papal Mass than a wine blessed by Riccardo Cotarella? 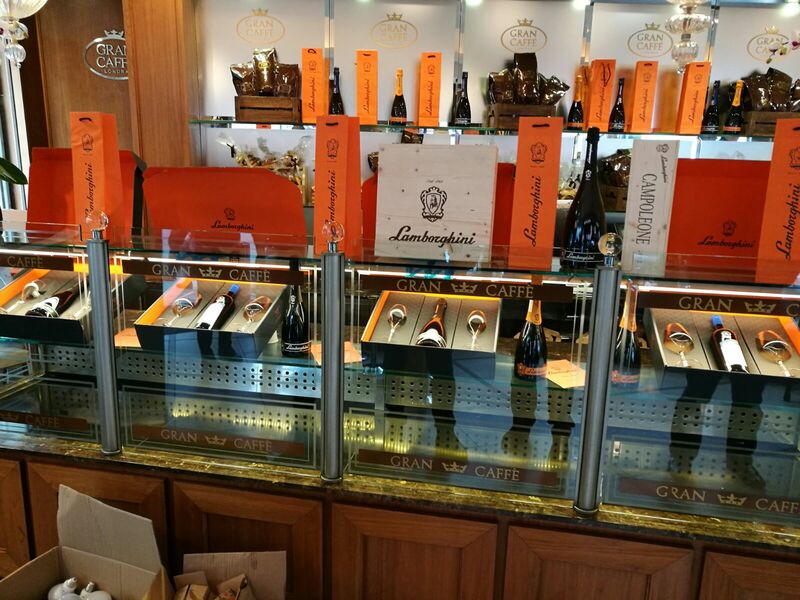 Tasting of Prosecco "The Chinese like bubbles so that the sparkling wine of Friuli Venezia Giulia and Veneto recorded a 300% sales in just the first 5 months of 2013. "He said Luke Giavi, director Consortium Prosecco, in a meeting at the Chamber of Commerce of Trieste. "60% of Prosecco produced in Friuli Venezia Giulia and Veneto, and is destined for export, however, the trend is growing," says the director Giavi . "There are now consolidated markets - continues Giavi - as the German market, the UK and the U.S. market, while China is emerging between those who, in the first 5 months of 2013 has already seen a jump of 300 %. It is, again, volumes, but we are growing really strong." With regard to the production, according to Giavi, "with the harvest in 2013 will reach 260 million bottles of Prosecco, a figure that puts us among the most important European doc. Today to have a critical mass to get in important international markets that are the ones that give you the greatest satisfaction, is essential. Examples of Bordeaux reds and Champagne bubbles for him to have taught for some time now. Surely we are the first name in Italian of volume and value, and with this brand we are bringing a piece of our country around the world." This is also because the producers of Veneto and Friuli Venezia Giulia "there are more points of contact: in many cases the Prosecco produced in Fvg is marketed by companies that are based in Veneto and vice versa." Giavi says, finally, that at the European level "competition in our segment does not have it, but to all dry sparkling wines in Charmat that use names similar to ours. So there's a name that makes us competitive, if not generic wines that are passed off as Prosecco. With an impending Champagne shortage due to challenging weather conditions in northeastern France, what’s a bubbly lover to do? Stockpile your favorite Champers for later consumption or discover new sparklers (prosecco, anyone?) to enjoy on New Year's Eve? Before you hit your local vintner, it's important to know what you're getting when it comes to high-end bubbles. While Champagne and prosecco are both sparkling wines, the similarities pretty much end there. 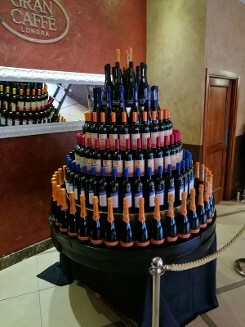 These wines are from different countries, made from different grape varieties and utilize very different production methods and aging regimens. The Champagne region of France is considered to be the birthplace of sparkling wine and bubbly can only be called “Champagne” if it is from this specific region. Even sparkling wine from another wine region within France must use another name, i.e. a sparkling wine from Alsace must be called “Cremant d’Alsace” - never Champagne. The highly litigious Champenois have sued well-known brands such as Perrier, Apple and Miller Brewing Company due to unauthorized use of the name. 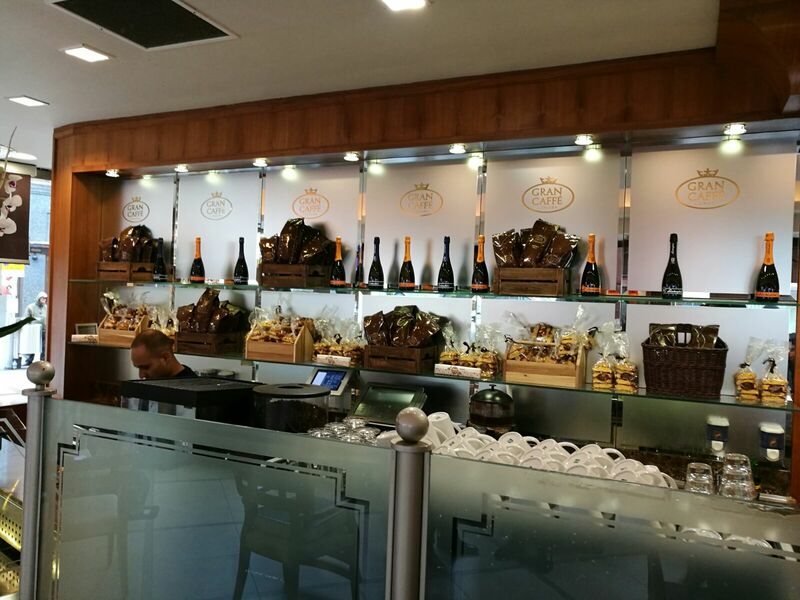 Alternatively, prosecco is from Italy’s northern Veneto region and can only be produced in that specific place. Champagne is made primarily from three different grapes: Chardonnay, Pinot Noir and Pinot Meunier. Prosecco, on the other hand, is made predominantly from the prosecco or Glera grape-- but can also contain Pinot Grigio, Verdiso, Pinot Bianco and a few others. In keeping with the concept of terroir, the aromas and flavors of each sparkling wine will vary greatly depending on where the wine is from, the type of grape variety used as well as the method of production. By law, Champagne can only be produced using the Méthode Champenoise or, as it is more recently known, the Méthode Traditionelle. This time and cost-intensive production method requires that wine’s secondary fermentation, the process that gives sparkling wine its bubbles, take place in the bottle the wine is later served from. Once bottled, Champagne must also be aged for a minimum of 15 months to three years before it can be released. Most reputable houses usually go above and beyond this requirement! 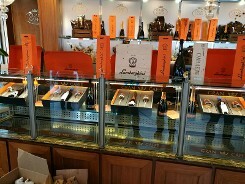 In contrast, prosecco is made much differently using the Charmat or “tank” method, which allows the secondary fermentation to take place in a large steel tank. After that, the bubbly is then bottled and can be released on the market for sale after only 30 to 40 days. The difference in production method results in a significant difference in taste between Champagne and other sparkling wines. While Champagne undergoes secondary fermentation in the bottle, the fermenting wine remains in contact with the dead yeast cells or lees which impart a desirable toasty, yeasty flavor to the wine. Since the Charmat method occurs in a stainless steel tank, prosecco is characterized by crisper, leaner flavors and a lighter body than Champagne. Why is Champagne so much more expensive than other sparklers? Champagne usually commands a much higher price than other sparkling wines, but is it really worth it? Sky high vineyard prices, the time-intensive Méthode Traditionelle and a significant post-production aging period all contribute to Champagne’s pricey-- sometimes exorbitant-- price tag. It's usually considered a special occasion only wine but if you’re a fan of Champagne’s complex flavor profile and appreciate the labor behind each bottle, then what's a few hundred dollars for an out-of-this world drinking experience? Prosecco’s lower price point and less complex palate, on the other hand, makes it a wonderful everyday sparkler and a great choice for using in sparkling wine based drinks such as Sparkling Strawberry Sangria or Pomegranate Rosemary Royale. Will there be enough bottles to go around in 2017? Since blending is a critical part of making Champagne, most houses have an extensive library of wines from past vintages they use to create their wines. These wines can help significantly in tougher years, Henriquez explains. Cheers to a sparkling start to the New Year.